Wedding entertainment is more than having a DJ booth in the corner of your reception venue. It's about creating an ambiance, engaging your guests, and crafting an experience they'll never forget. 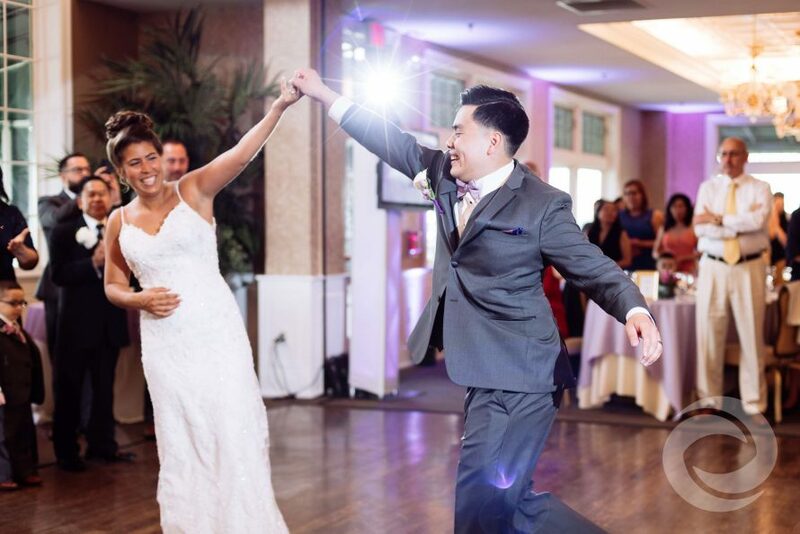 All of Hurricane Productions' DJs and MCs are well-versed in the art of entertainment, and no matter which package you book, you'll get our top-notch talent for your wedding day. But maybe you want to go beyond the music and enhance your reception with lighting, visuals, and activities to really wow your guests. If you're considering one of our wedding entertainment packages for your big day, check out some of our service upgrades that will make your wedding even more magical. 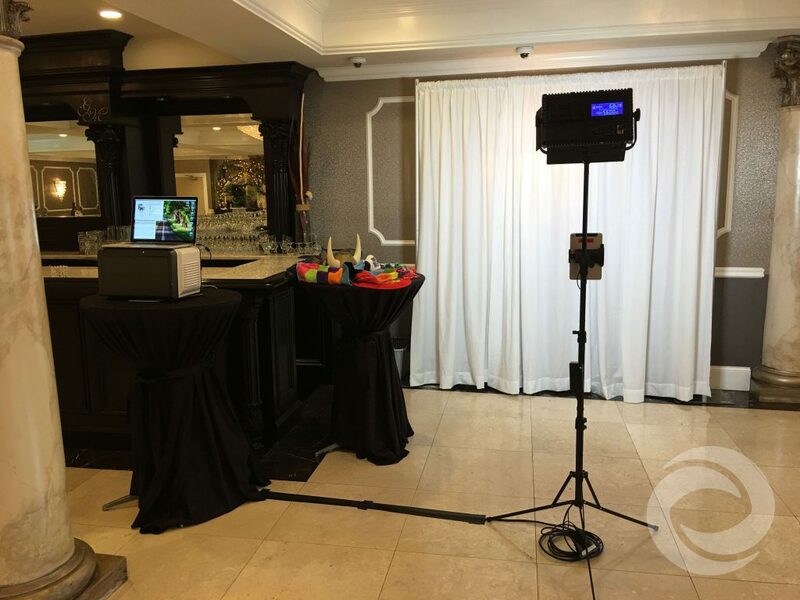 Photo booths offer guests a fun, interactive experience at your wedding, as well as a unique souvenir to take home with them. Hurricane Productions can set up a photo booth in the style of your choice at your venue. 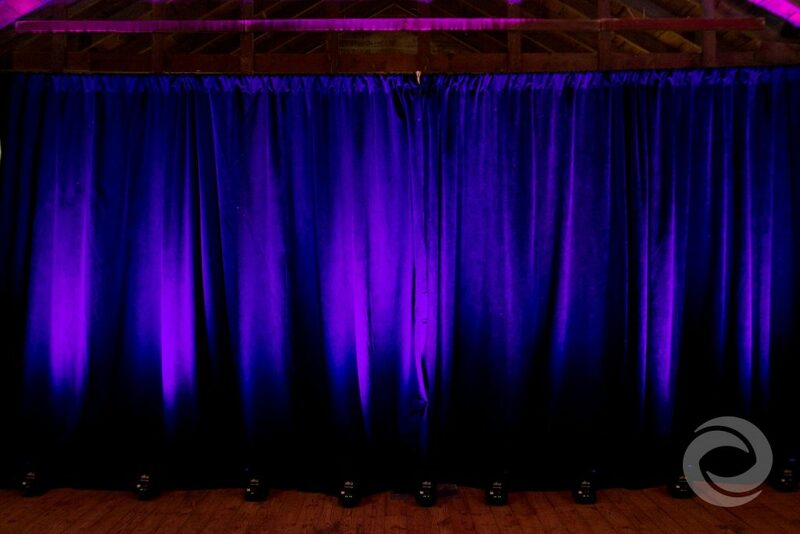 You can select an open-air booth using your venue as the backdrop, or an enclosed booth with a white draped curtain. Our photo booth package comes with a prop box, unlimited double-strip prints with a custom logo on them, a USB drive and download link of all photos, and a scrapbook of prints. This add-on is also available with any of our photo and video packages. Indoor ceremony sites typically have their own audio setup, but if you're getting married outdoors, you'll need a speaker and mic to make sure guests can hear your officiant, your vows, and any other readings or performances at your wedding. Our wireless auxiliary sound system is battery-operated and cable-free, so we'll help you get crystal-clear ceremony sound anywhere, no matter how remote your ceremony location is. The right lighting can completely change the atmosphere of a room. 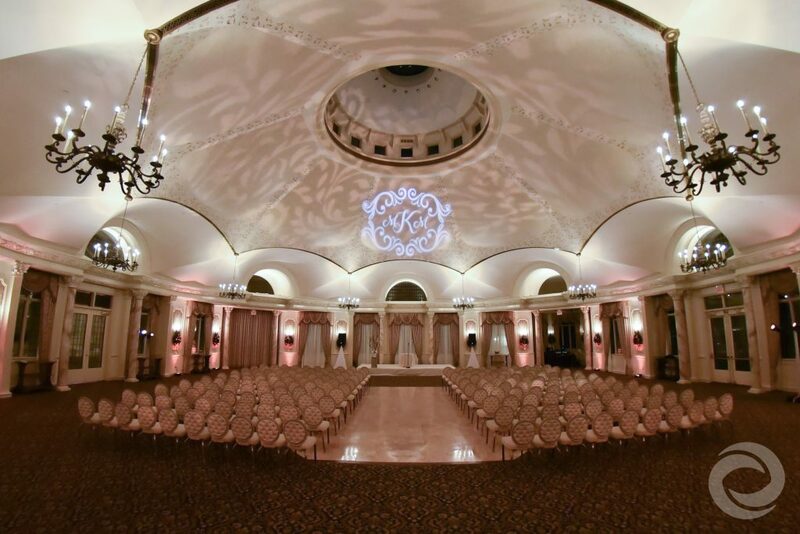 To set the mood for your wedding reception, our professional lighting designer will set up and control a series of battery-operated, wireless uplighting throughout your venue in the color and style of your choice. In the social media age, sharing memories from your big day is all about your #weddinghashtag. With this upgrade, we'll provide two 42" LED TV screens that continuously stream posts with your hashtag from Instagram and other platforms, so your friends and family can see what other guests are sharing throughout the event. We'll also create a custom monogram animation and a photo montage to play during your reception. Want a monogram that's a little more personalized? Choose this add-on to receive a fully customizable, highly detailed design displayed on glass at your reception. We can match your colors, theme, personal style, and more to give you a wedding visual that's uniquely you. We understand that wedding budgets can change throughout the planning process, so Hurricane Productions will work with you to create the perfect package for your needs and price point. Contact us today for a customized quote on media and entertainment services for your wedding.